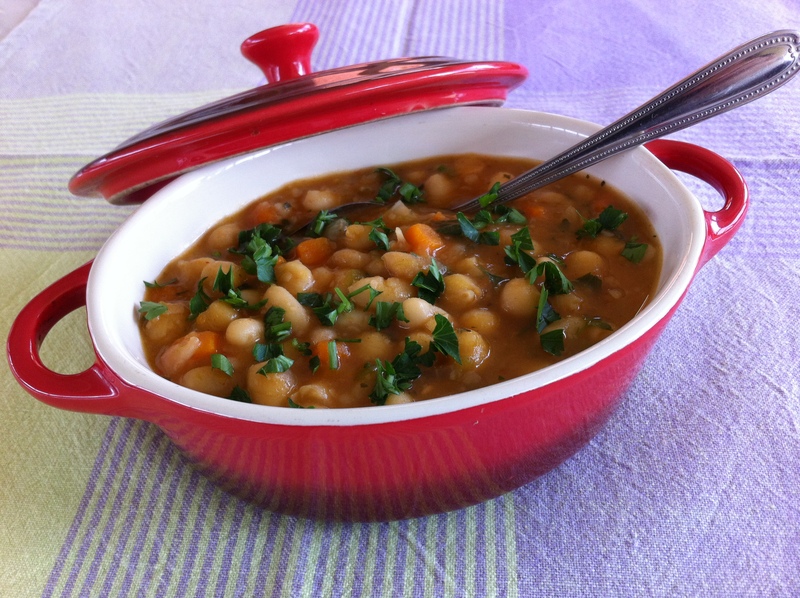 Combine chickpeas and beans in a large pot. Cover with water and bring to the boil. Once the beans and chickpeas are cooked, add the vegetables and the garlic granules and cook a little more till the vegetables are soft. In a cup, put 4-5 tablespoons of water and add the red pepper powder, flour, salt and oil. Mix thoroughly and pour into the bean mixture. Add the mint and remove from the hot-plate.